The public outcry over Donald Sterling and his racist rants shows that we are improving as a society. 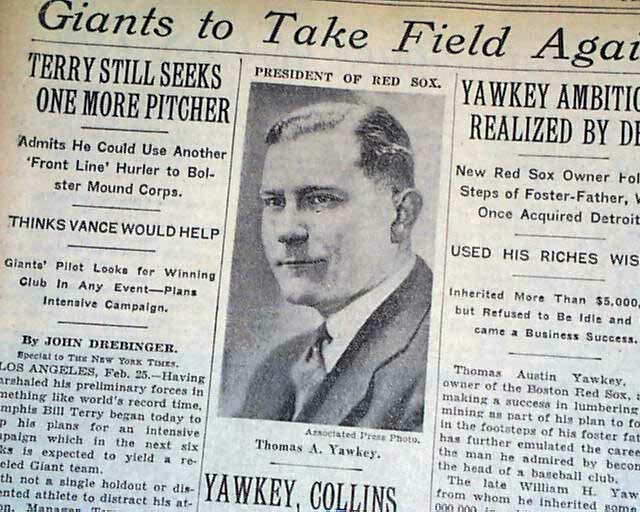 It wasn’t long ago that an owner like that would have been accepted… or in the case of Tom Yawkey, honored. I crap all over Tom Yawkey and wish my brother a happy birthday on The Sully Baseball Daily Podcast..
Justin Upton, A.J. Pierzynski, Tanner Roark, Phil Hughes, A.J. Pollock, Jeremy Guthrie and Mike Trout all added to their totals for Who Owns Baseball. Posted on April 28, 2014, in 'SullyMetrics', MLB Podcast Network and tagged @sullybaseball on twitter, boston red sox, Donald Sterling, Paul Francis Sullivan, Sully Baseball, Sully baseball daily podcast, Tom Yawkey. Bookmark the permalink. Leave a comment.